A tooth can develop a cavity/hole due to dental decay. The decay must be cleared away and the tooth restored/ filled. The tooth must be restored to prevent progression of the decay and, possible loss of the tooth. Dental restorations/ fillings can also be used to restore a tooth that has been fractured due to trauma or wear habits such as grinding. 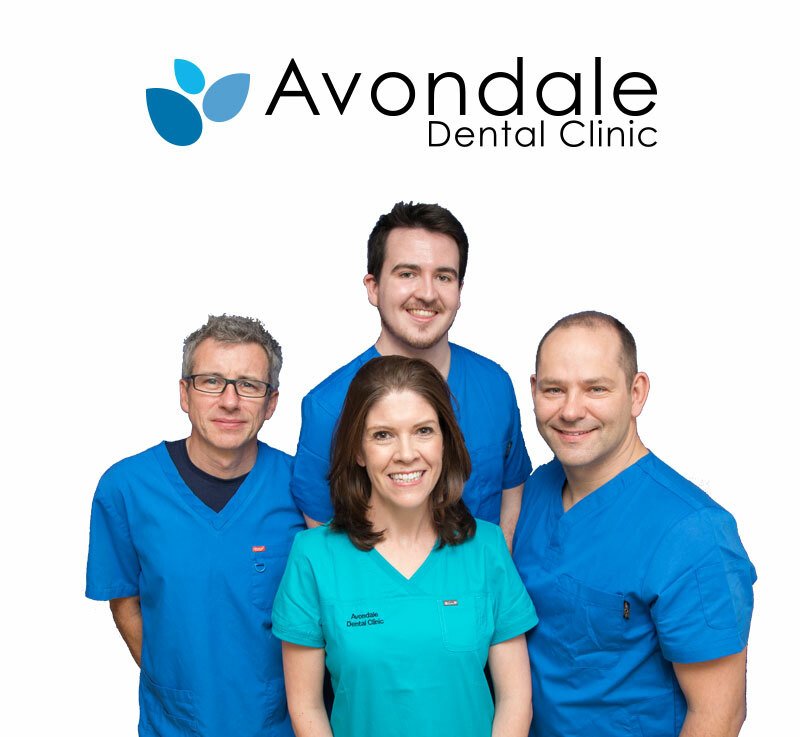 In the vast majority of cases in Avondale Dental Clinic, we use composite filling material. Composite is a tooth coloured material which does not contain mercury. The tooth is restored to its former shape and colour. White fillings are made of plastic or composite resin. Composite filling materials are widely used today and have proved to be durable, long-lasting, and look great. 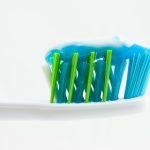 Because composite fillings are tooth coloured, they can be closely matched to the original colour of existing teeth, therefore these are more suited for use in front teeth or the more visible areas of the teeth. Metal fillings are made of gold or a silver amalgam. Silver Amalgam is made up of a combination of mercury, silver, tin, zinc, and copper. Amalgam is long lasting and hard wearing and has been used in fillings for at least 150 years. It is economical to use and it is not unusual for an amalgam filling to last 15 to 20 years. 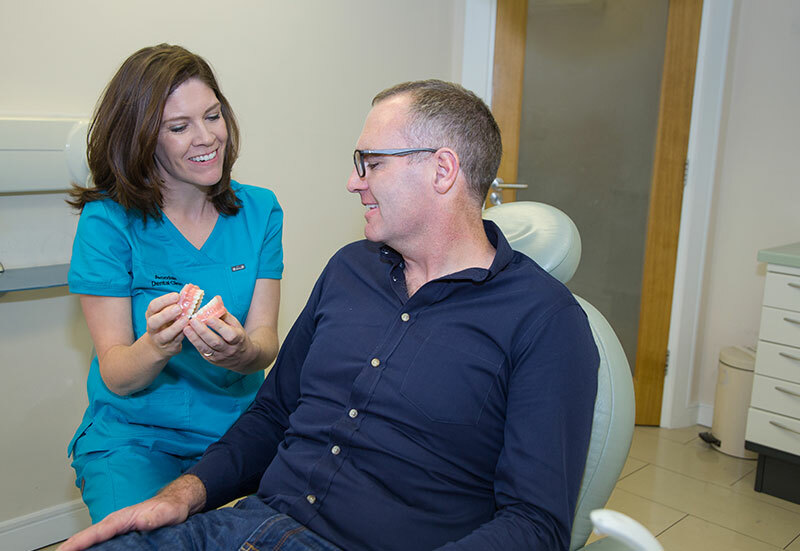 The process of treatment begins with an assessment of the decayed or cracked tooth, if you feel uncomfort and think you may need a filling, then come see us as soon as possible. Once the dentist has determined the situation and the best form of action, a local anaesthetic will be administered. A local anaesthetic is when you are completely awake, the local anaesthetic is made in the gum via small, narrow needle. It is generally just a small, pinching sensation. A small dental drill or even a laser instrument will be used to remove the decaying area. 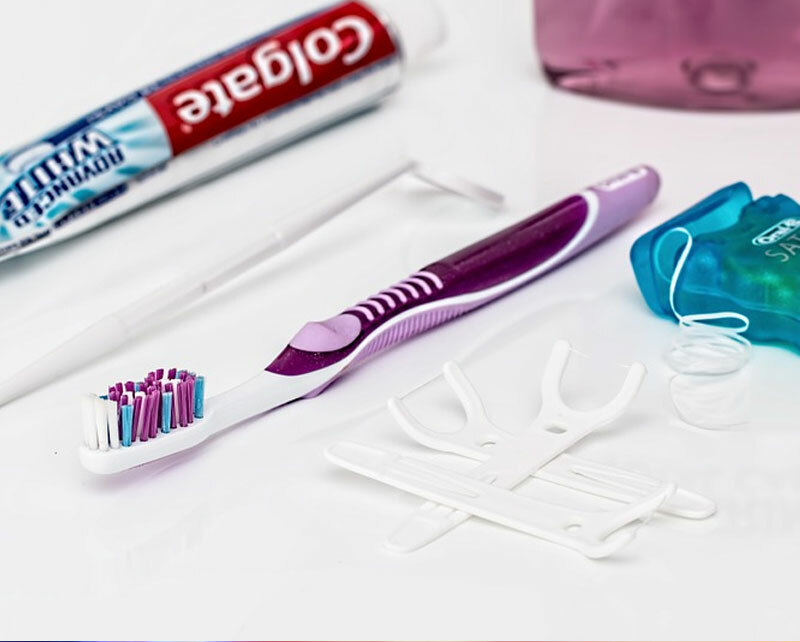 Your dentist will determine what type of instruments are usable in the office. The dentist must now gently tap the area where he/she has drilled to make certain that all decay had been effectively removed. Next, the dentist will clean the area to be filled. The dentist will use a white or metal filling to patch the hollow that was made by removal. For white fillings, a special curing light is necessary in order to properly harden the layers of filling that need to be applied. To Finish the process the dentist trims and polishes the tooth area of any excess materials. Benefits of a Tooth Filling? A healthy tooth repaired with a minor procedure. The stoppage of further tooth decay or cracking, thus saving the tooth from extraction. After the procedure, slight discomfort or mild pain will be felt. This is brief and can be remedied by paracetamol or other pain killers prescribed by your local pharmacy. Now that the tooth decay has been dealt with, there is generally no further treatment necessary. It is very important to keep regular dental check-ups and brush teeth daily. Fillings can stop tooth decay and save a tooth, so if you feel pain or discomfort, come to see us ASAP. 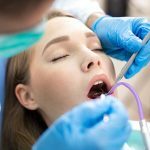 Leaving the situation untreated may cost you a lot more in the future in the form of a root canal, or even losing the tooth, forcing you to get a tooth implant or dentures. Percent of adults 20 to 64 have had tooth decay in their permanent teeth.